Janet W8CAA and Joe, W8GEX are in charge of fundraising for the upcoming Palmyra DXpedition. They have already asked the large foundations and large clubs in Europe for help, but the KH5 DXpedition is still in need of money to meet their budget. A large payment is due on 1st Nov.
As you know KH5 is high on the most wanted list in Europe. There has not been a great response from news releases so they would like to write to the European clubs and individuals for support. This is a huge undertaking and they need money from everyone worldwide. So this would be a huge help if some of us could participate for this trip. Go to http://palmyra2016.org/ to send a donation. As you know every dollar helps. Many thanks for reading and help if possible. F5RAV, Luc and F5NVF, Gerard, plan to be QRV as C5LT and C5C from Kololi, The Gambia from October 20-27. They will be joined by C5MF, Mustapha, a new Amateur Radio operator. Luc and Gerard will be leaving behind a station for Mustapha and other future Gambian Amateur Radio operators. QSL direct only via F5RAV's home address with two USD or an IRC and SAE. 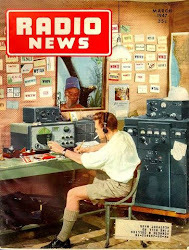 C5C reported today, "we will be on air tonight 23h45 for those who desire to make a new one on 60m. We will call at 23h45 if not work then at 24h00! C5C team made up of Gerard F5NVF and Luc F5RAV. They will be back on at 2345Z on channel 5 USB and CW tonight, Wednesday and Friday night. They plan on spending 2 hours each night handing out Q's. They go home next Saturday. They did work some W6 and W7's. Information shared by Joe, W8GEX, mni tnx! Gambia, or Republic of the Gambia, a country of western Africa. Gambia occupies a narrow strip on both sides of the Gambia River and is bounded by Senegal and the Atlantic Ocean. The total area is 4,361 square miles (11,295 km2). Gambia consists mainly of savannas and marshes. The Gambia River is the chief waterway and is widely used for transport. The country has a tropical climate. Gambia's economy is based almost entirely on agriculture, which employs about 80 per cent of the workforce. Peanuts are the chief cash crop. Also important to the economy are fishing and tourism. Roads are poorly developed. There is an international airport near Banjul, at Yundum. Banjul is the principal seaport. The basic currency unit is the dalasi. Gambia's population in 1993 was 1,025,867. Banjul, the capital, had a population of 42,326 in 1993. Most Gambians are Negroid; the major groups are the Malinké (Mandingo), Wolof, and Fulani. Islam is the predominant religion; less than 10 per cent of the population is Christian. The literacy rate is about 25 per cent, and about half of the children of primary school age attend school. Under the constitution of 1996 Gambia is a republic with an elected president. The country is a member of the Commonwealth of Nations. Gambia was discovered by Portuguese navigators in the 15th century and came under British control in the 1600's. It was a part of Sierra Leone, 1807–43; a crown colony, 1843–66; and a part of the West African Settlements, 1866–88. Gambia became a separate crown colony again in 1888. In 1902 most of the area was formed into a protectorate; a small region centered on Banjul (then called Bathurst) remained a colony. Gambia was granted independence in 1965, and became a constitutional monarchy. Dawda Jawara was the first prime minister. In 1970 Gambia became a republic with Jawara as president. During 1981–89, Gambia was joined with Senegal in a loose confederation called Senegambia. In 1994 Jawara was overthrown in a military coup. In 1996 a democratic constitution was established and civilian rule was restored.